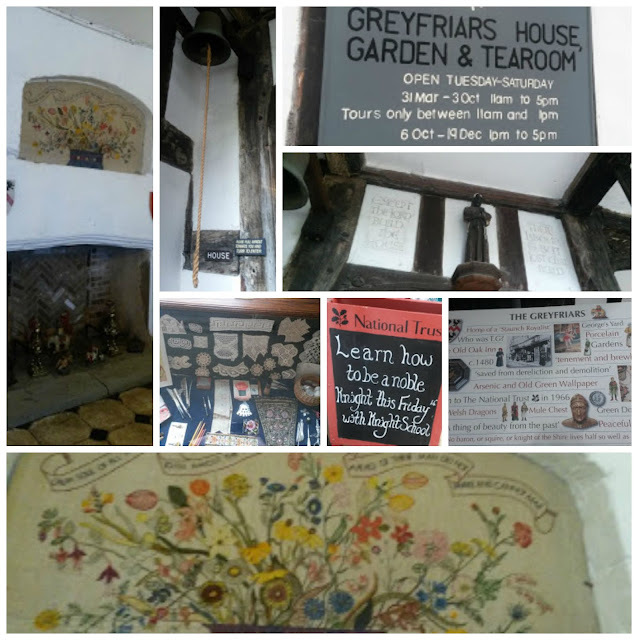 Our nearest National Trust site is Grey Friars which is a medieval house in the centre of Worcester. They have been holding activities on Friday's during the Summer holidays and so off we went to become knights for the day. I only had my mobile so the pictures aren't great quality but I think they give an insight to our experience. There was a gentleman who demonstrated the difficulties of putting on armour (especially without a squire) but was very good at developing rapport with the children and also very patient as he was bombarded with questions and comments from some of the more vocal little ones. He performed this task and told stories in the main hall which was beautifully preserved and simply decorated with tapestries, paintings and floor coverings sympathetic to it's medieval roots. Upstairs there were more rooms laid out appropriately but we headed straight to the children's room where there were dressing up clothes and toys. Whilst the children were occupied, I had a quick look around. Unfortunately it was raining so the mock battle outside was brief although the children really enjoyed engaging in war shouts and bashing their foam swords against their foe's. 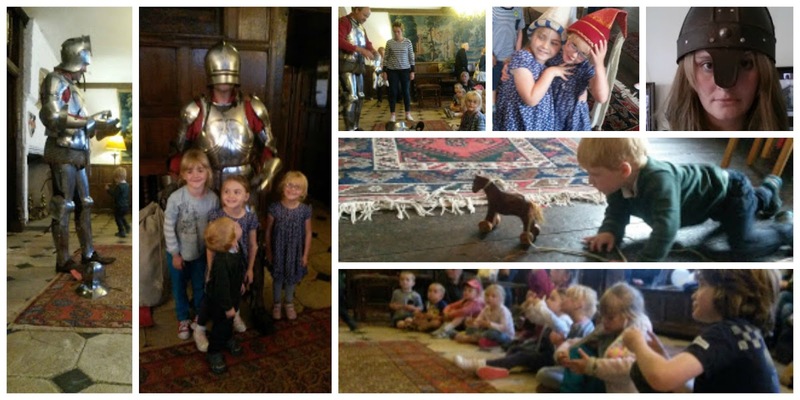 Without the aforementioned entertainments, the site has little to offer youngsters however these activities made it very accessible and timely for my niece who is learning about Medieval Britain in school in September. It occupied us for a couple of hours and I would definitely consider returning again soon.